Bread pudding is one of my family’s favorite dishes in the whole wide world, so I decided to make it. 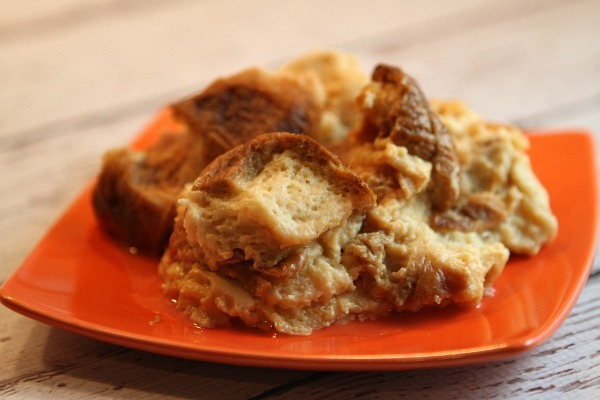 This week I made a delicious Skinny Slow Cooker French Toast Bread Pudding. Usually bread pudding is served as dessert, but I liked the sound of bread pudding for breakfast more. What dish could possibly be better for starting out a great day?! Oh and by the way, happy MLK Day! I hope that everyone enjoyed their three day weekend, and cooked up some delicious food. 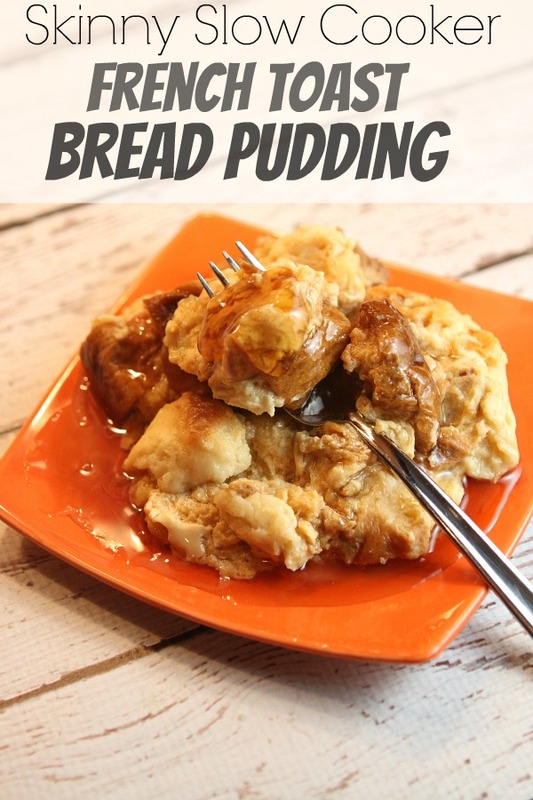 Now… let’s dive a bit deeper into this phenomenal bread pudding! Bread pudding is either something that you like or you don’t. Me? I LOVE it. Although the texture throws some people off, it’s all about the taste. In this french toast bread pudding, I feel like I mastered the taste. Instead of using caramel as a topping, like the recipe asked for, I used maple syrup. That’s the true secret behind my bread pudding for breakfast. 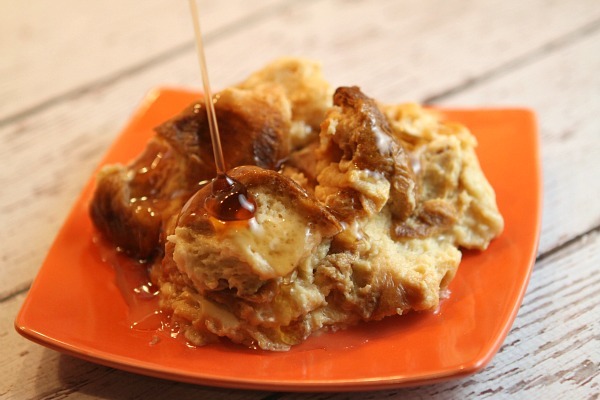 Light french toast bread pudding smothered in maple syrup… What’s not to like about this recipe? I learned when I was making this recipe just how much bread it needs. We used Challah bread, and it took like 3/4 of the huge loaf! Challah bread is very yummy. The only thing I would have changed about this recipe is the Challah. We got it from a generic brand at the store, but I wish we went to like a Jewish bakery or something. The Challah itself was pretty bland. 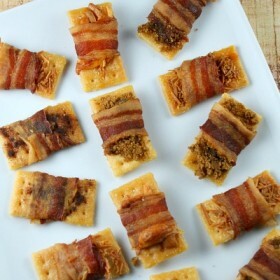 But once you soak it in the milk and pour maple syrup over it… Oh my god. Finger lickin’ good! The moment I placed a piece of my bread pudding in my mouth I was struck with amazing flavor. The quality of this french toast bread pudding isn’t even close to being compared to other ones. And guess what?! It’s light! I would totally recommend this french toast bread pudding to anyone willing to try something new (or someone that wants a killer breakfast). This is definitely on the easier end of recipes I’ve made. You just throw bread and a sauce in a crock pot and in the morning it’s done! The less time you spend making the recipe, the more time you spend enjoying it. And that is exactly what this recipe is all about. 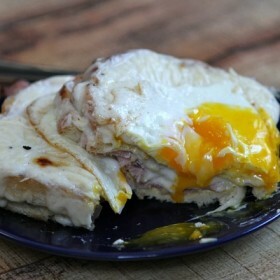 And even a kid can make a classic dessert but turn it into a delicious breakfast… Like Me! A tasty treat for breakfast! I prepared it in the evening, and then my Mom got up at 2AM to turn on the slow cooker so we could have it for breakfast. Yum! 1. Line a 3 1/2- or 4-quart slow cooker with a disposable slow cooker liner (I sprayed mine with nonstick spray instead... and it turned out fine, but the edges were a little crispy). Place the bread cubes in the prepared slow cooker. 2. In a large bowl, whisk together the milk, sugar, eggs, vanilla, cinnamon and salt. Pour over the bread cubes in the slow cooker. Press the bread down lightly with the back of a large spoon to moisten the bread completely. Cover and chill in the refrigerator for 4 to 24 hours. 3. Cover and cook on low-heat setting for 7 to 8 hours or until a knife inserted in the center comes out clean. Turn off the slow cooker. Carefully lift the disposable liner from the slow cooker, and then use a plate to transfer the French toast to a cutting board. Slice the French toast or spoon into serving dishes. Top with maple syrup. MY SISTER LOVE’S BREAD PUDDING.. I’M GOING TO SURPRISE HER WITH THIS ON HER BIRTHDAY. THANK’S FOR SHARING. Oh my gosh. This is so fabulous! Believe it or not, I just recently tried my first piece of bread pudding; it was love at first bite! 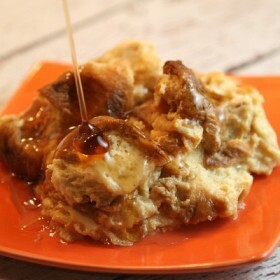 French toast bread pudding sounds deeelicious! Hoping to make this for my mom and I! Have you tried any other breads other than the challah? I have not. But it would be great to see if this recipe would work just as well with other breads!